Jenny Scharf was born in Portstewart, N. Ireland. Jenny is now retired but is still practising her love of painting. She has been amongst other things a musician, a teacher and a curriculum designer for music. She has always been multi-talented and in her teens was offered places at the Belfast College of Art and the nearby Queen’s University Department of Music. She opted for the latter and has painted privately ever since. 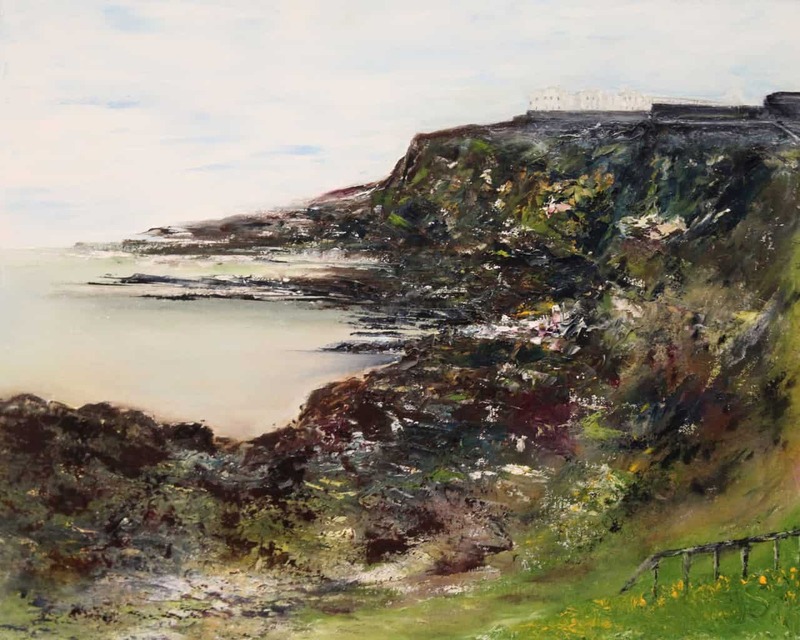 Already well established as a visual artist, her work has been seen in many group shows, most notably at the Waterfront Hall, Belfast and in The PortstewART Galleries. Her oils on canvas are in private and corporate collections across the globe including in the USA, Australia, Continental Europe, South Africa and The People’s Republic of China. Her first solo exhibition in October 2004 in the Hughes Gallery, Belfast, brought her work to the attention of a growing international audience. Jenny Scharf has built a loyal following for her impasto works in oil on canvas. Her paintings reflect her personality, open hearted, humorous, vivacious, high spirited, sensitive and contemplative. 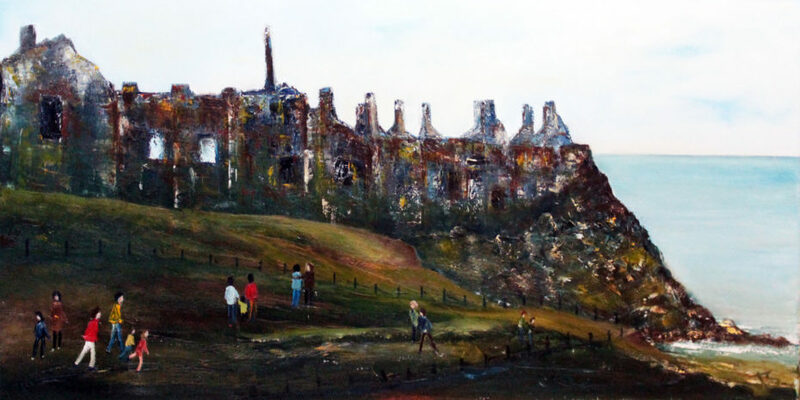 Dunluce Castle : 12" x 24" : Oil on canvas: £695 or ten monthly payments of £69.50. 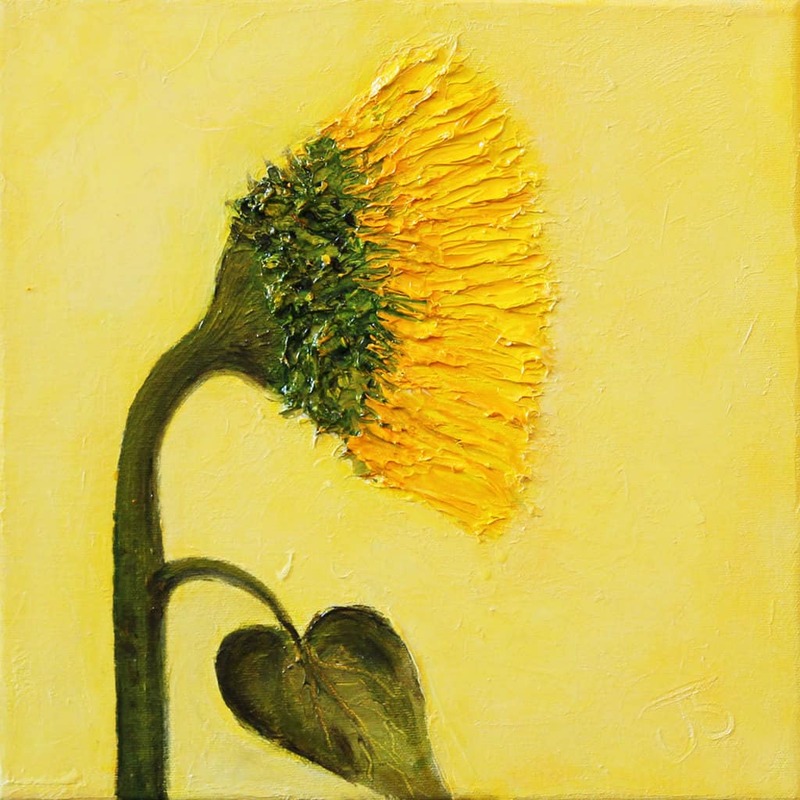 Sunflower... 12" x 12" ... Oil on canvas : £250 or ten monthly payments of £25.00. 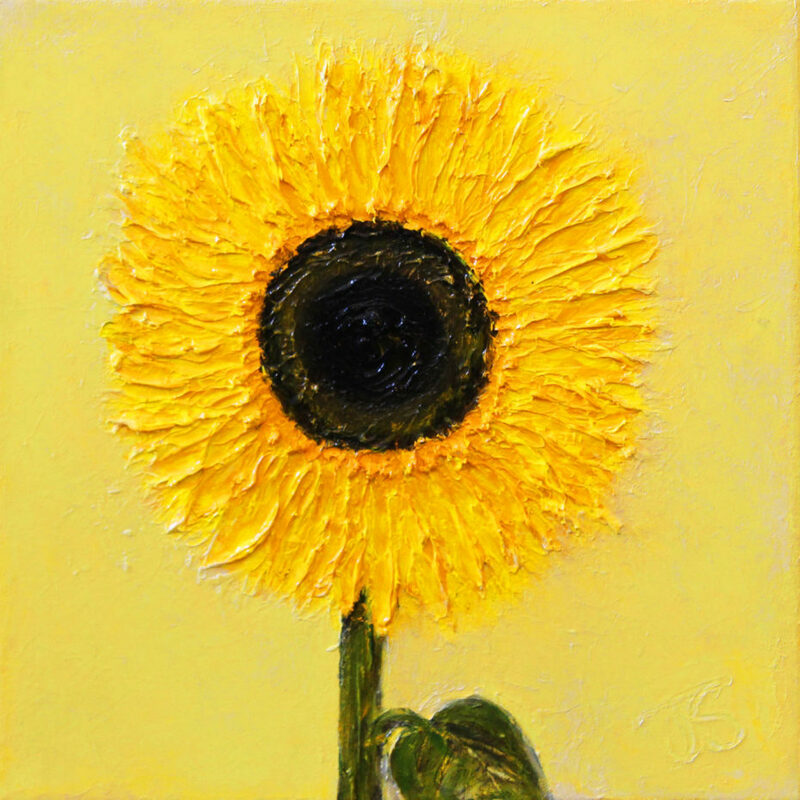 Sunflower 2... 12" x 12" ... Oil on canvas: £250 or ten monthly payments of £25.00.